Custom Brick and Stone Homes! Countertops and vanities are all done by hand to produce a completely unique look in every home! Custom concrete counter tops, backsplashes, and floors! New homes are being designed now - so be sure to check out our variety of floor plans! Custom, Affordable Homes and Home Plans. We are a family focused company in Lindale, Texas that strives to build the perfect custom home for you at an affordable price. Red Baron Building provides high quality and stylish homes with great attention to detail, employing green building practices. Each custom home is designed to exceed the Energy Star Standards of an Energy Star Certified Home, ensuring that your home will be energy efficient. 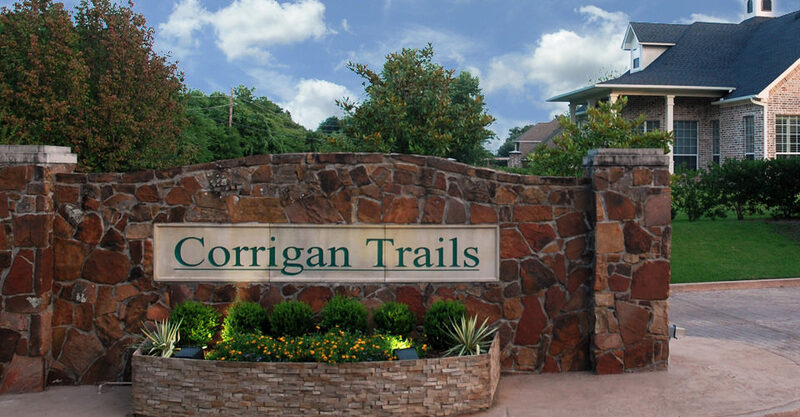 Red Baron is presently building in Ruby and Corrigan Trails – beautiful communities in Lindale, Texas. "Their patience, as we made decisions and their desire to have pleased buyers is indicative to what you can expect when pursuing one of their quality homes." "Such a wonderful neighborhood. The care you've taken has been appreicated. Thank you for making building another home enjoyable." "Loving our new home and living in Ruby Trails with the greatest builder. Thank you so much."